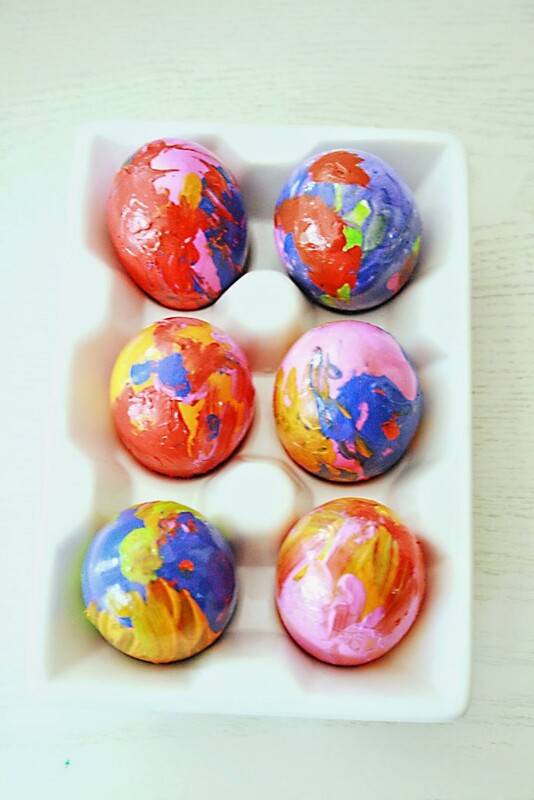 Lacquer Abstract Easter Eggs— We are celebrating our family Easter traditions a week early this year, since our spring break falls right on Easter Sunday. 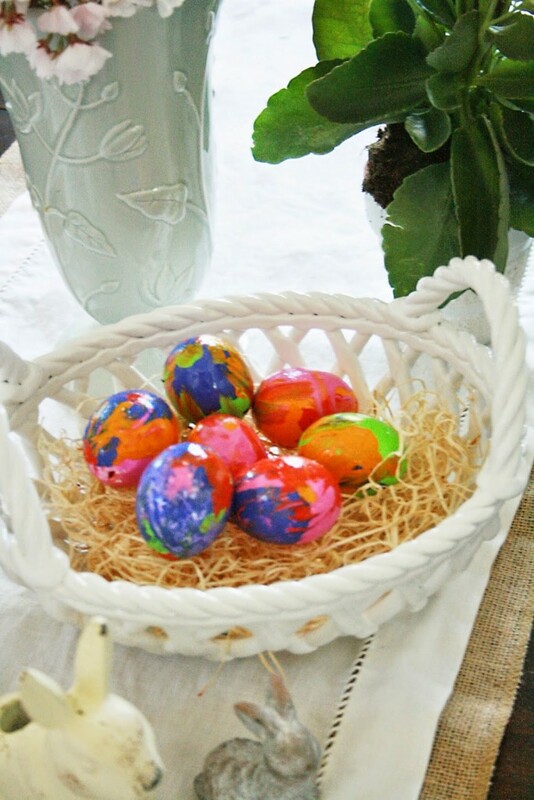 We are planning to do our feast this Sunday and my kids decorated their eggs. 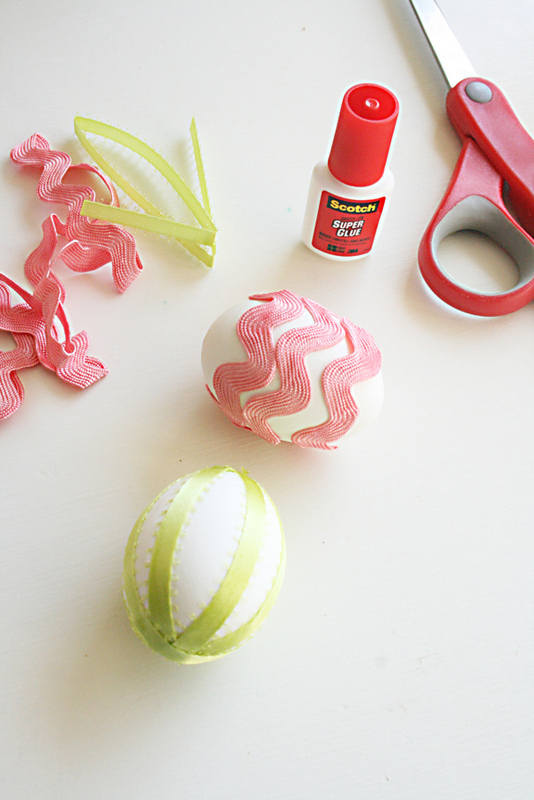 We love decorating Easter eggs and trying out new techniques. 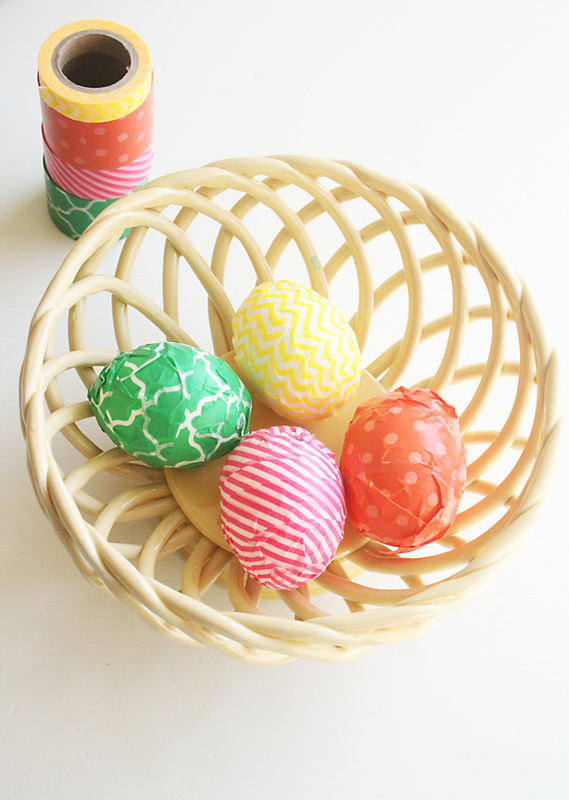 Below are links to Easter egg decorating techniques that we have done in the past. 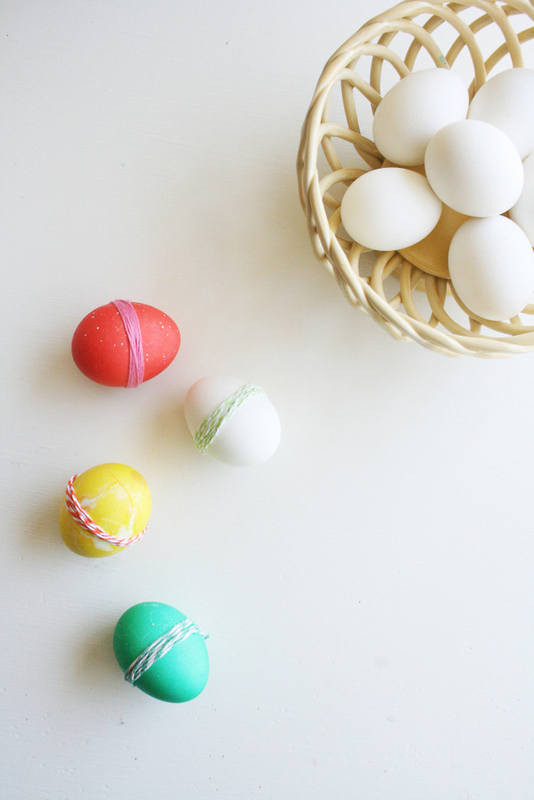 This year we decided to use lacquer to make the eggs look like glass and acrylic paint to give it a strong color. 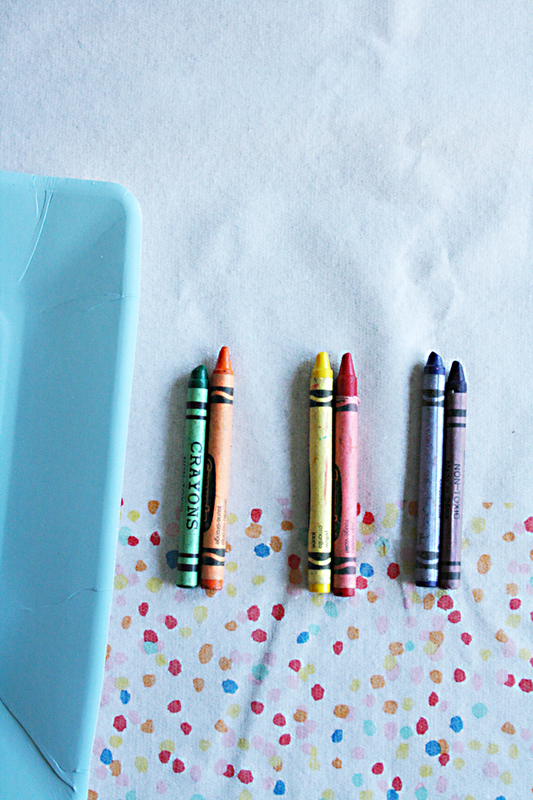 This is a fun project for kids to explore mixing colors with adult supervision. 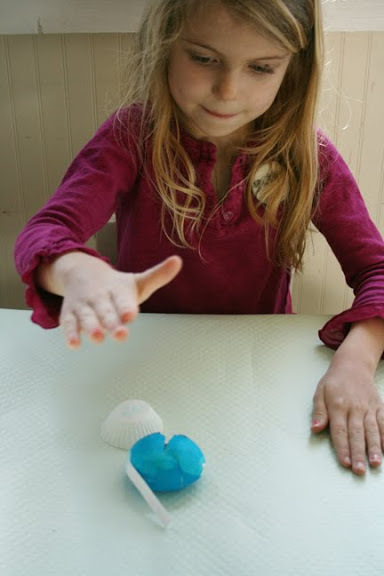 For this project we blew out the egg yolk and whites by poking holes on each end and blowing through one side as the insides dripped into a bowl. 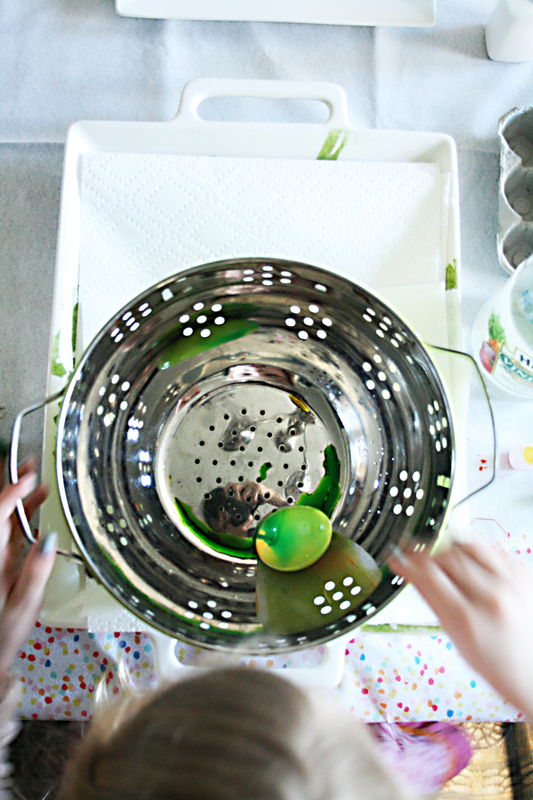 This helps for the eggs to dry without sticking to anything. 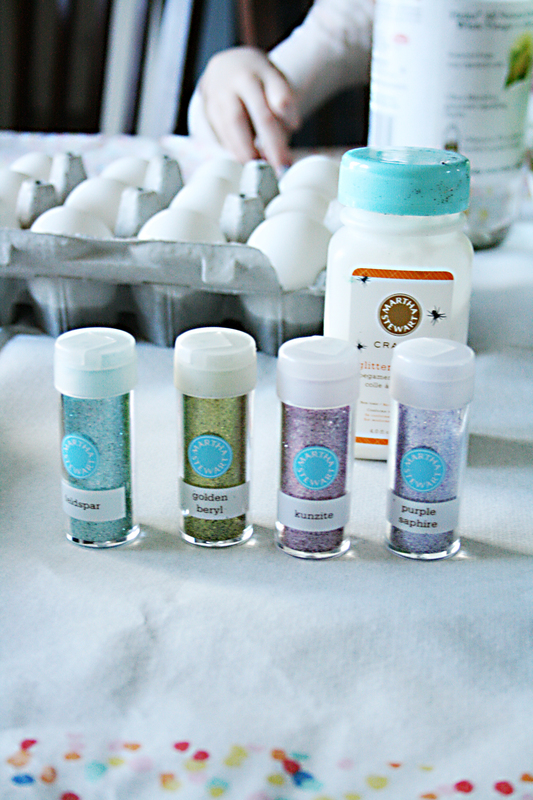 Pick out three to four acrylic paints that complement each other. 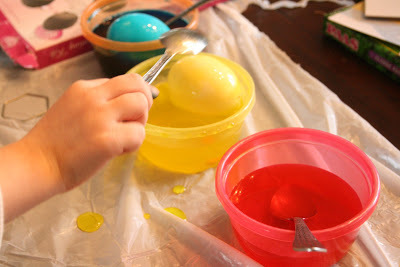 Also, so when you allow your kids to paint the eggs the colors won’t get too messy during mixing. 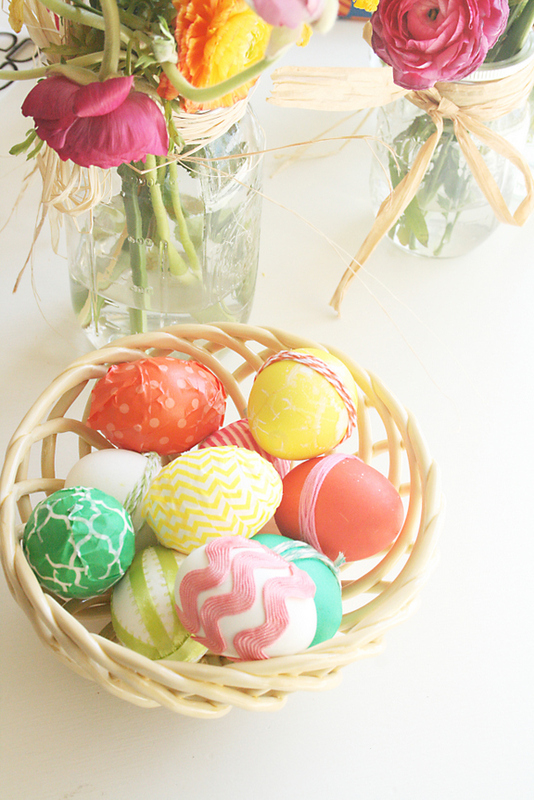 Pretty, bright rich colors. 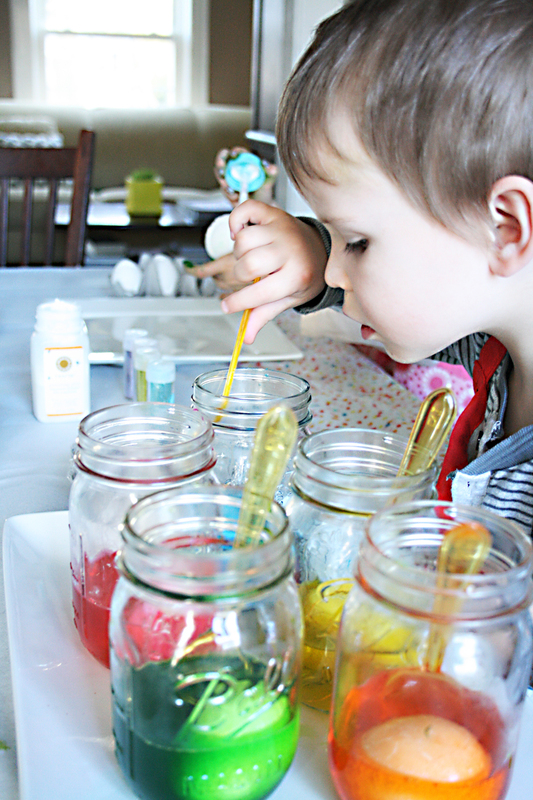 Let your kids paint and get creative with a palate of paint! 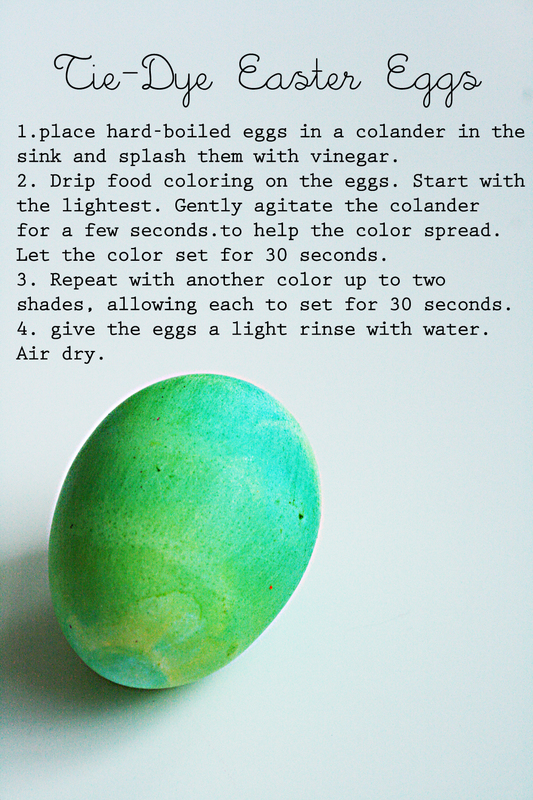 Allow your eggs to dry. 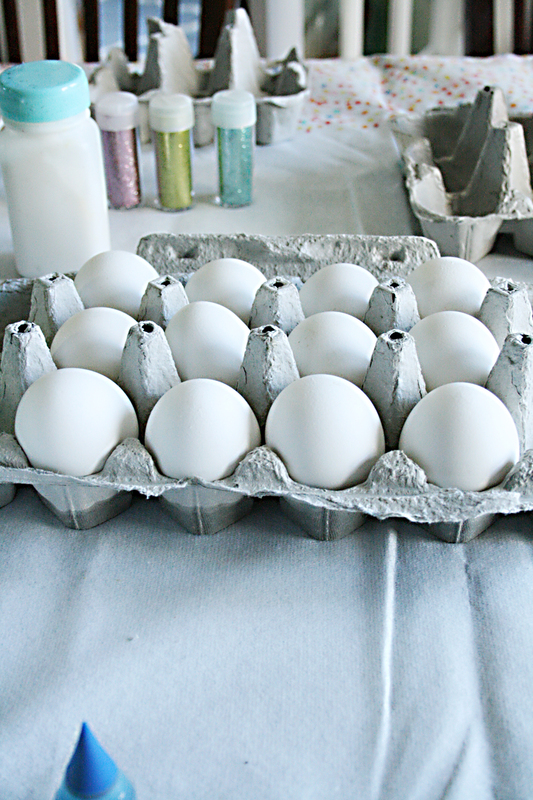 I used an egg carton, turned it over and put toothpicks in for the eggs to properly dry without touching anything. 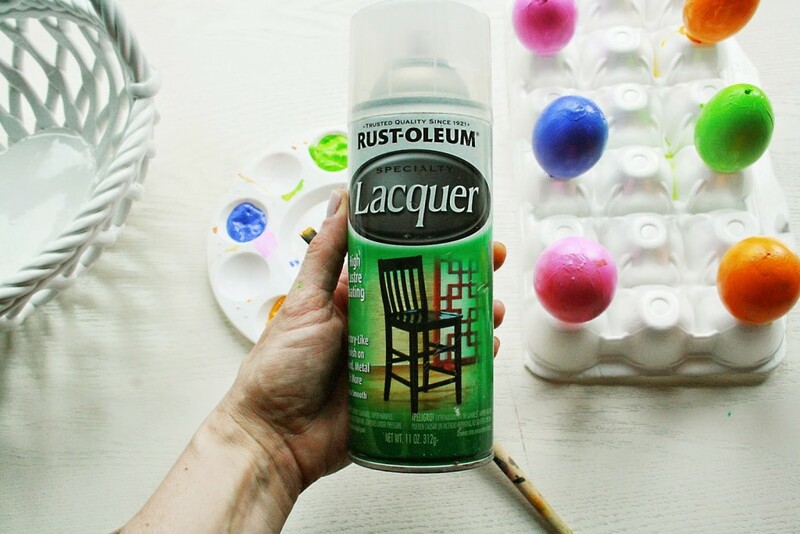 Once you can touch, spray two coats of Rust-oleum Lacquer spray paint over the eggs. Make sure to do it in a well-ventialated area. 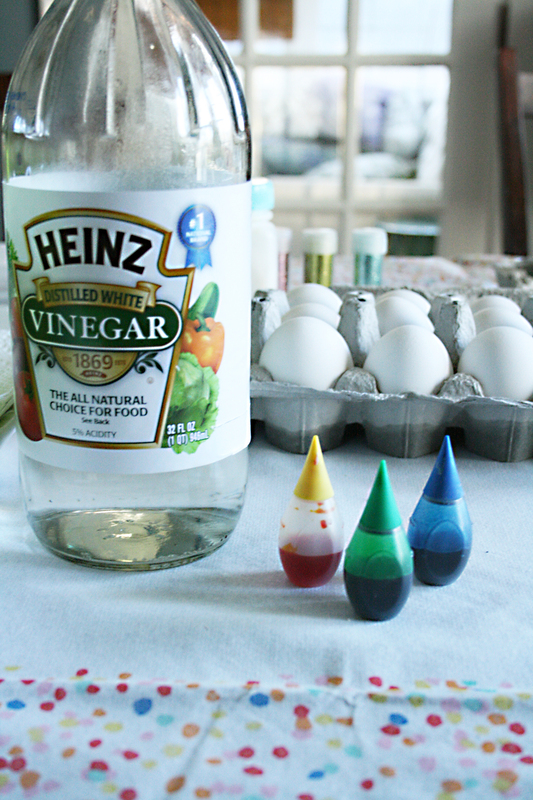 They will look like glass eggs! 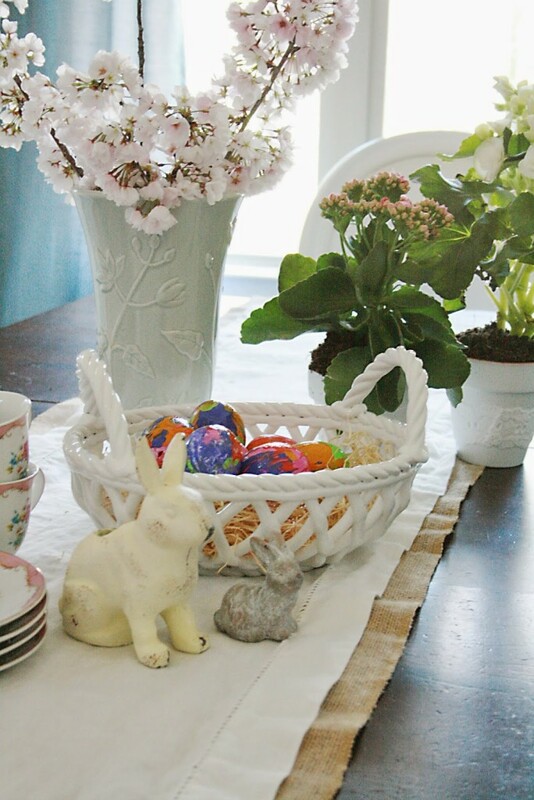 Style your easter table with potted spring flowers. 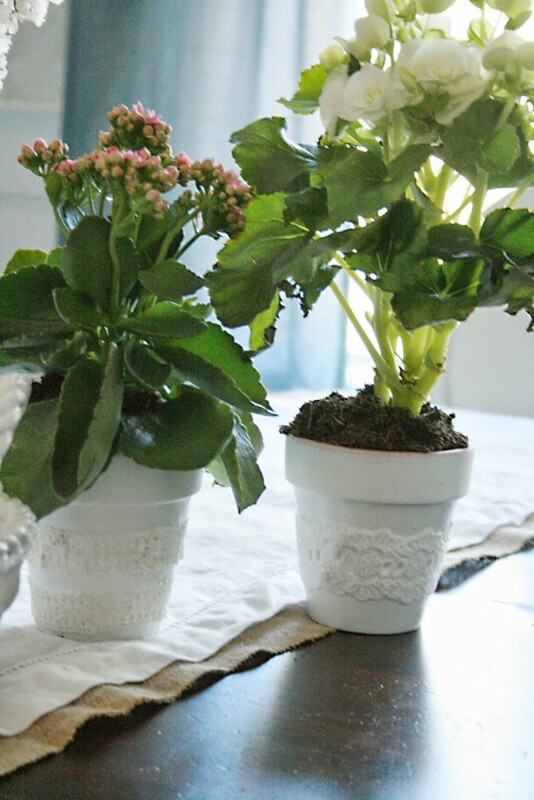 We spray painted terra cotta pots white and modge podge white lace ribbon around each pot to dress up the pots. 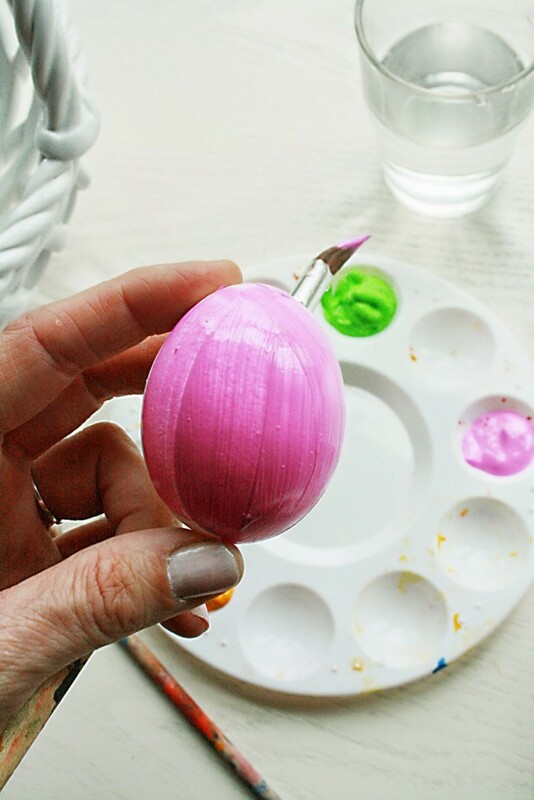 Beautiful and Color Egg techniques— we use these techniques. 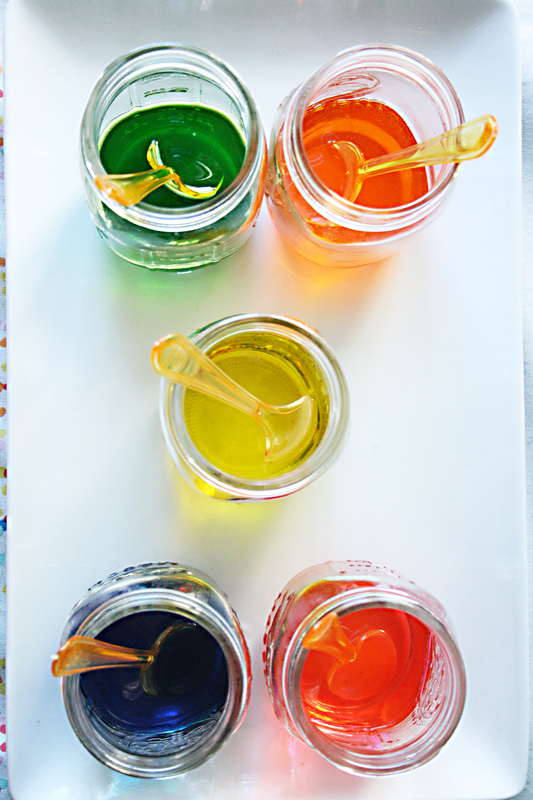 Favorites ones. 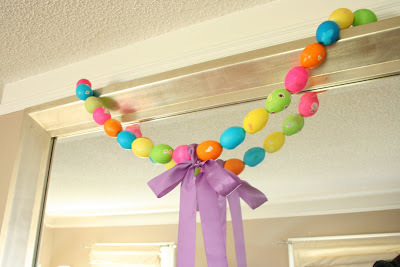 When decorating eggs for Easter, I love the idea of having different technique stations set up on your table so you can get a variety of decorated eggs. 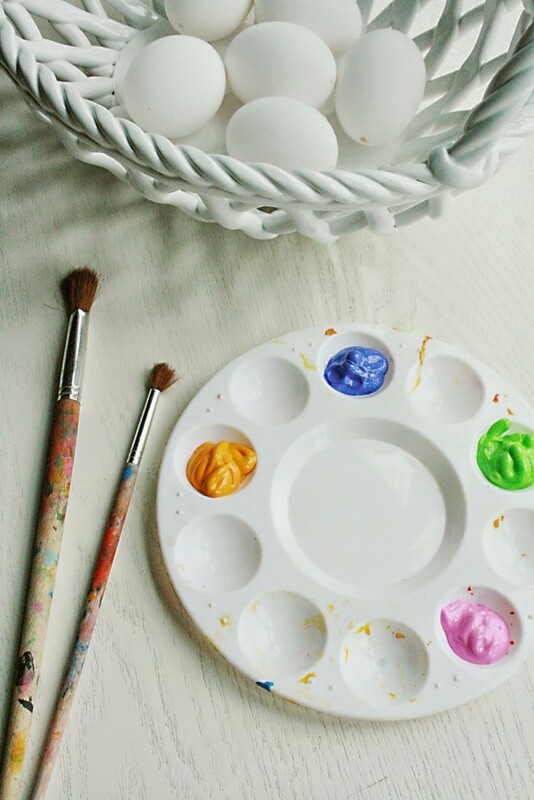 There is a little planning before the decorating happens, but it runs pretty smooth when all the materials are right there. 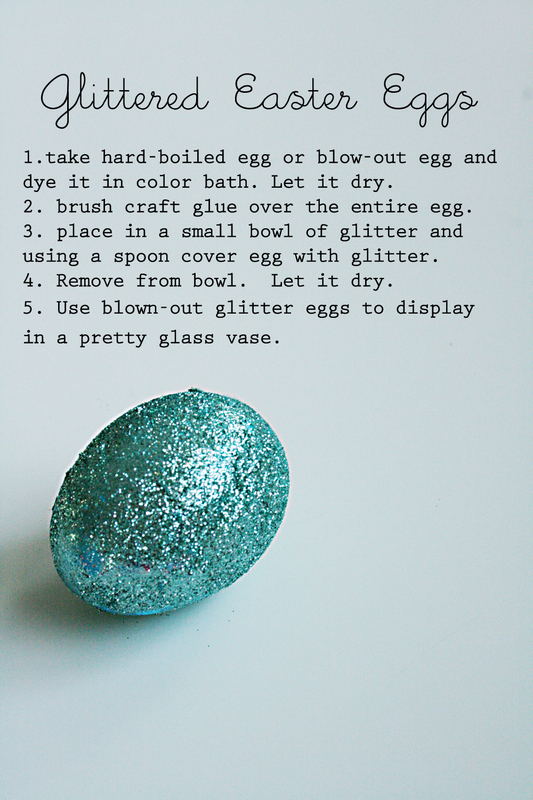 And you will love looking at your bowl of decorated Easter eggs. 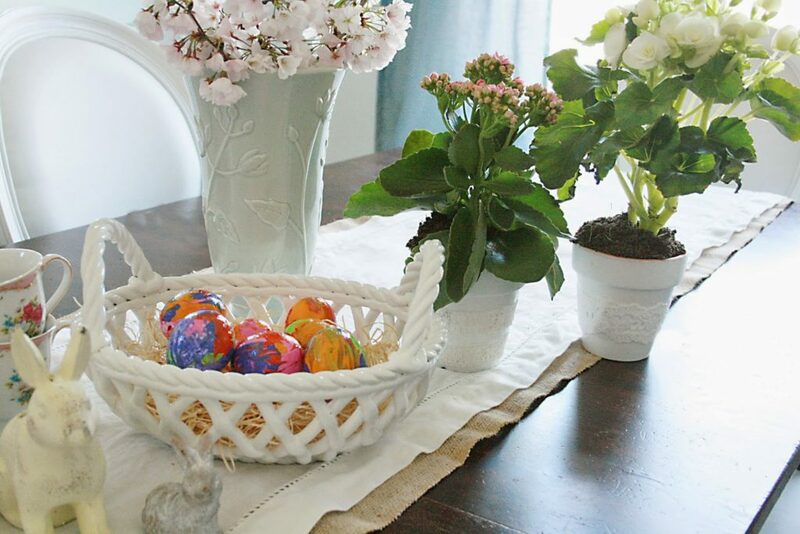 A perfect centerpiece for your Easter table. These techniques are really easy. 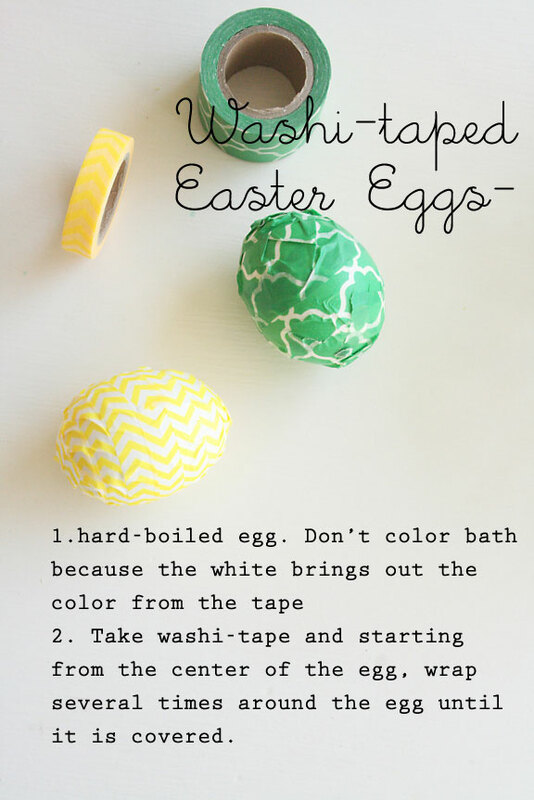 And don’t require you to do a color bath beforehand so less mess. 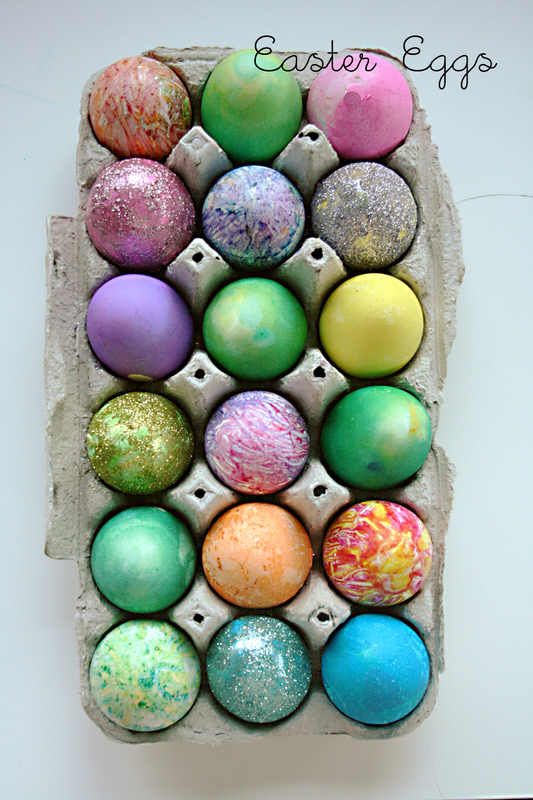 Celebrating Easter in the month of March completely throws my holiday scheduling off. 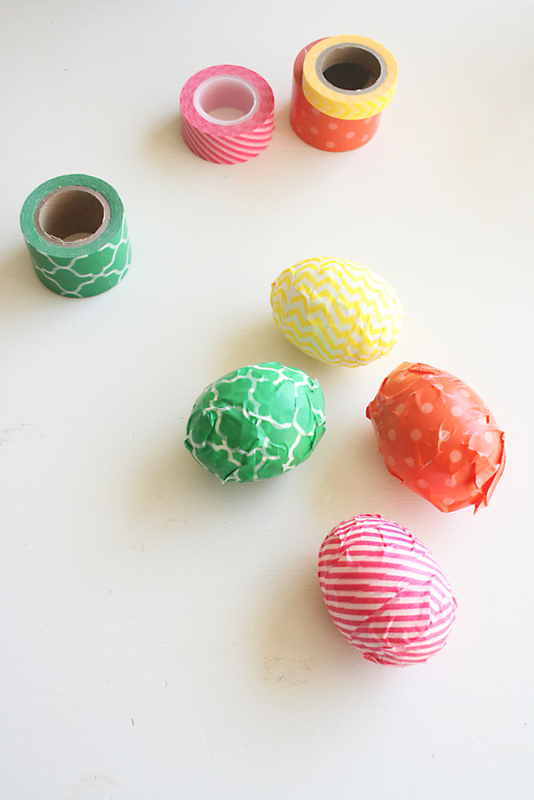 I haven’t put much thought into what Easter crafts we will do, but decorating eggs is a must. So we will probably be doing the egg decorating table that we did last year. 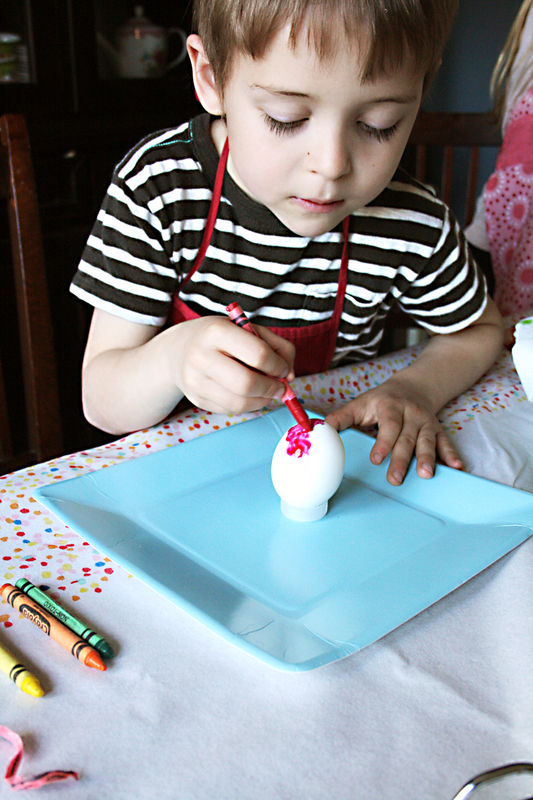 I set up different stations and the kids rotated between each decorating one egg per station. 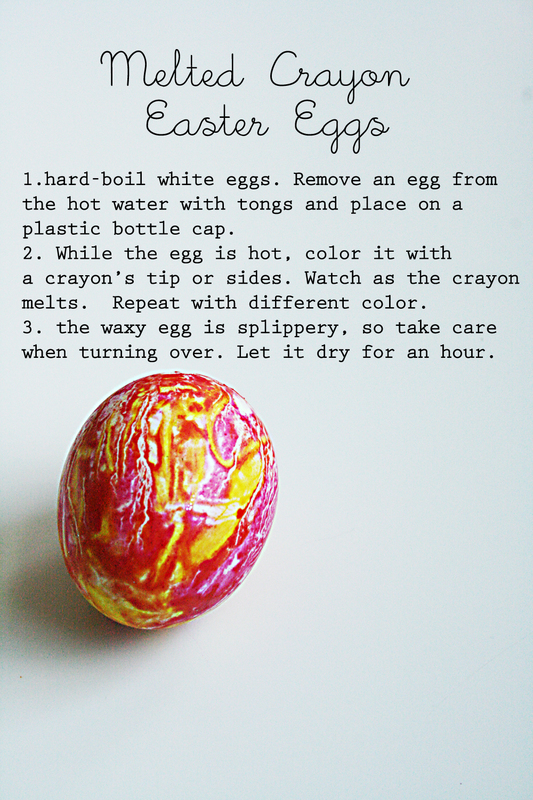 Last year the kids did glitter eggs, melted crayon eggs and tie-dye eggs. 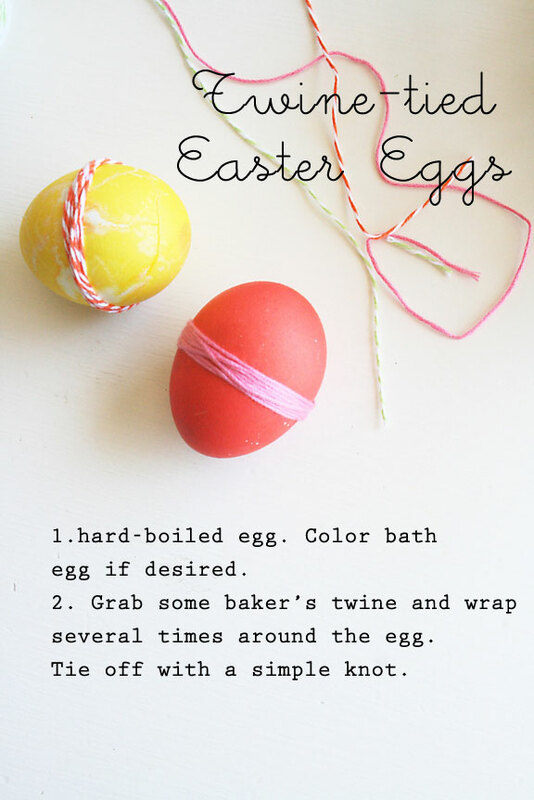 See the complete post with instructions. 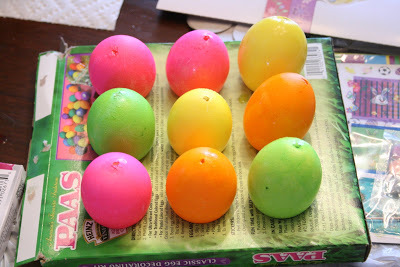 My older kids and I made a few of these surprise Easter eggs during their spring break to give to some of their friends. They are really into telling jokes right now so we thought it would be silly to share some Easter jokes and deliver them in a fun way. 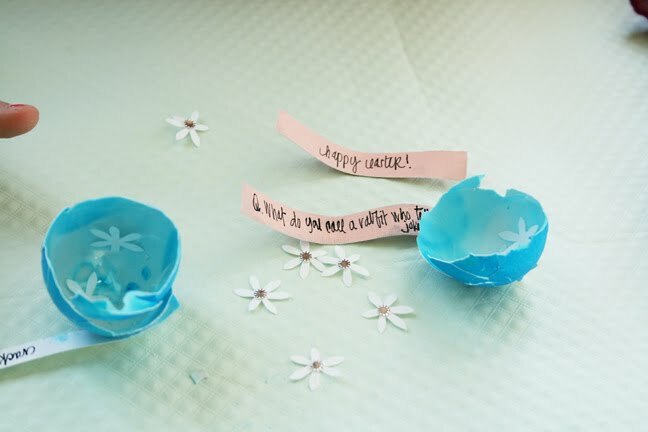 We blew out the eggs, dyed them, then let them dry (outside and inside), added some flower confetti and wrote the jokes on paper strips and then stuffed them into the egg. 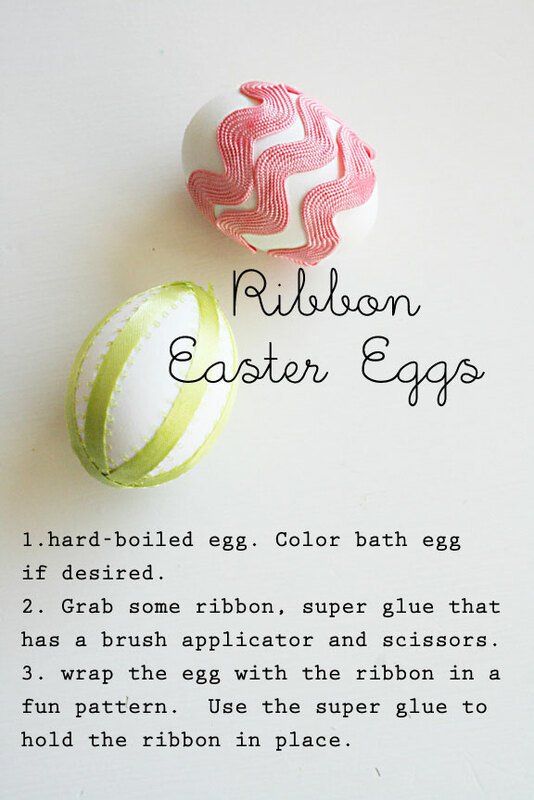 You can get the step by step tutorial here or here. Today has not been a very good day, and I’m tried and exhausted from all the chaos. This week is going to be a long one. But we did have a really fun weekend. Saturday was super busy. 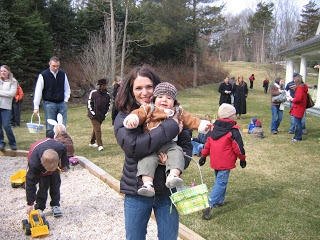 We started off the day at our church Easter egg hunt. 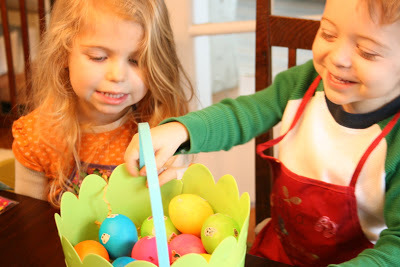 It was a lot of fun as usual with a lot of eggs to be hunted for. 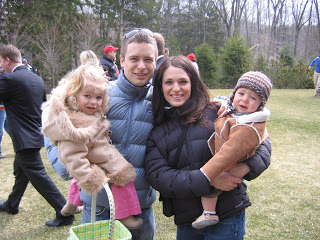 Of course the weather was a little nippy–so no Easter dresses were had. 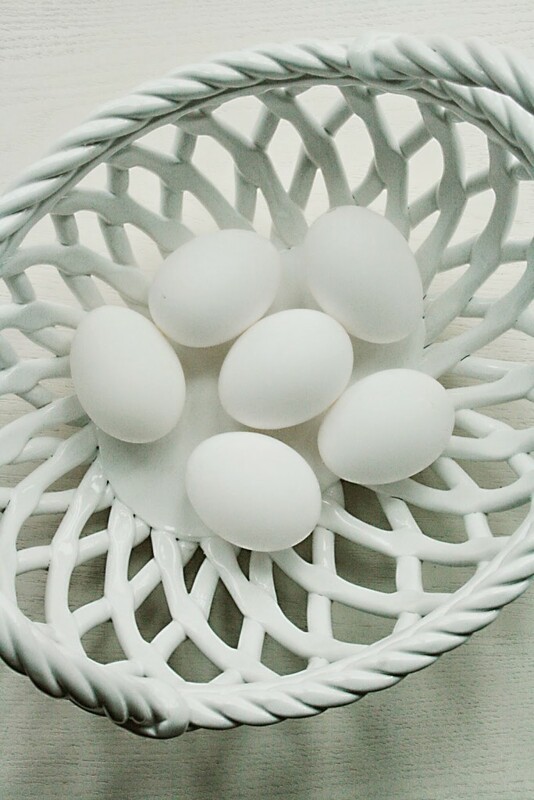 One of the older children at the egg hunt felt bad that Stella only had so many eggs and gave her a few to fill her basket up. 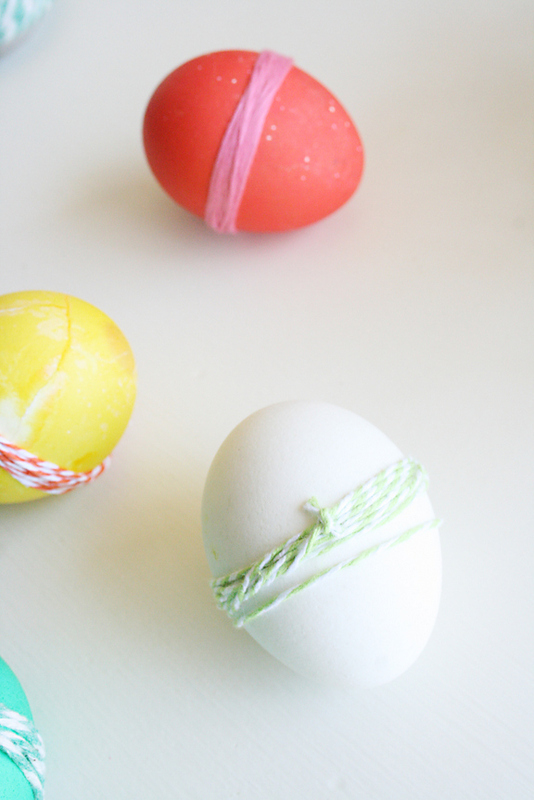 Seriously, when they say “go”–it’s really hard to catch those eggs. 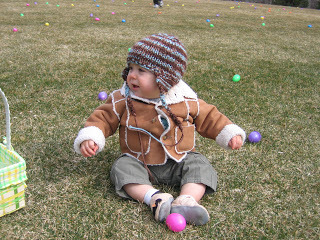 Lucas was content with his one egg he picked up as long as he could eat the candy. Then it was off to the children’s museum for some playtime with daddy. We have a season’s pass now, so we have to make good use. 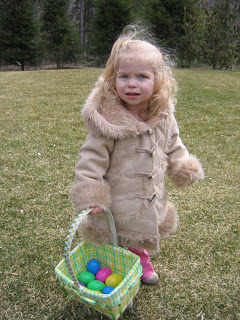 After which, naptime and since Seth was home I was able to take Stella out for some one-on-one Easter shopping. Then we headed to a birthday party and lastly ended the day playing at the park until the sun went down. I love long days. You get so much done! 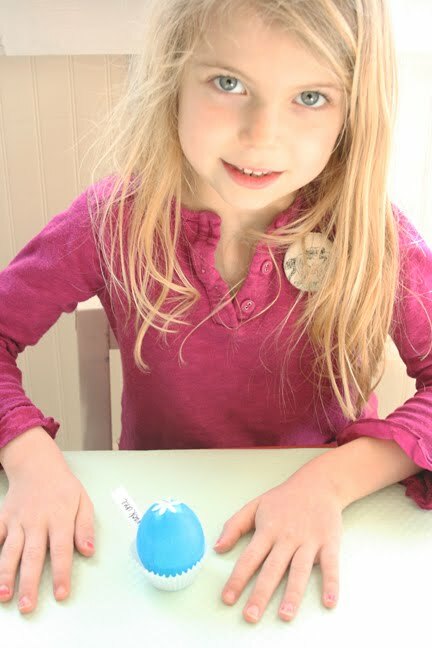 We had our church Easter egg hunt this past Saturday. It was a cold and crisp day–not like spring at all. 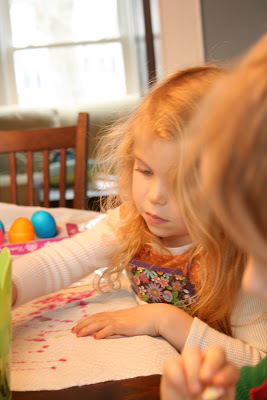 But we had a lot of fun, especially since there was no problem finding the Easter eggs. And the hunt was held in someone’s backyard.